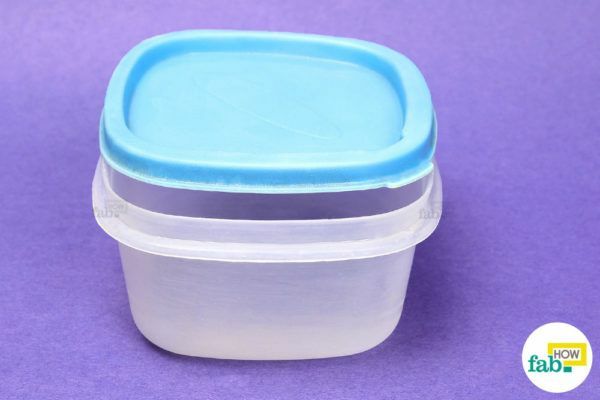 Reusability and convenience are some of the virtues of plastic containers that have led to their overwhelming popularity. 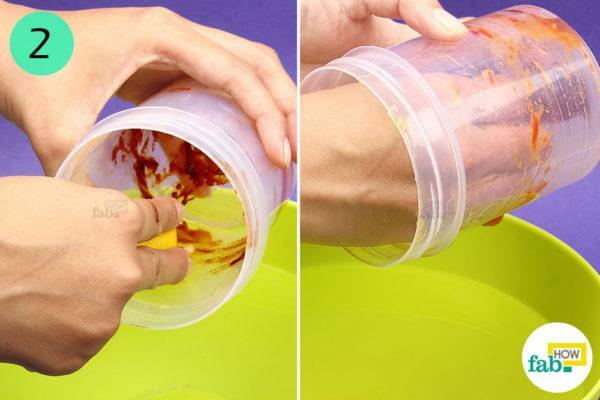 But sometimes cleaning plastic food containers makes the idea of reusing them rather unappealing. Plastic food containers and pet jars are rampant in the world of kitchen and household storage. Plastic containers provide airtight and leak-proof storage. They are easy to use and portable if required. The problem comes along when you need to clean a particularly dirty or smelly plastic container. 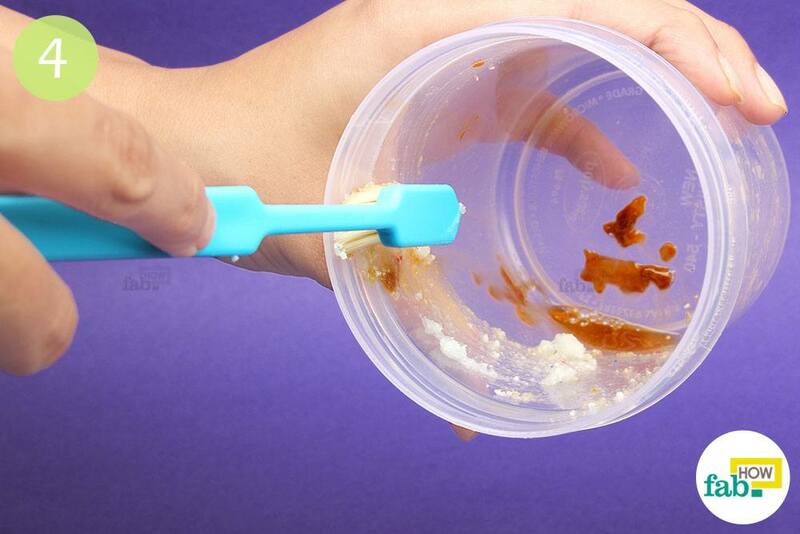 If you’re unable to clean it completely, you can’t store food in it again, thus eliminating its reusability value. If the overpowering smell of spoiled tuna salad, an egg sandwich or that garlic paste that is past its expiration date makes you want to throw the container out, take a pause and look around. There are many household cleaning supplies, chemical as well as natural, that will come to your rescue. These six methods use simple household cleaners to remove stains, eliminate odors and if need be, disinfect your plastic containers. Mix some bleaching powder with a little water to make a paste that has a slurry-like consistency. Bleaching powder can remove the most stubborn stains and eliminate any lingering odors from your plastic containers. It also disinfects the containers. 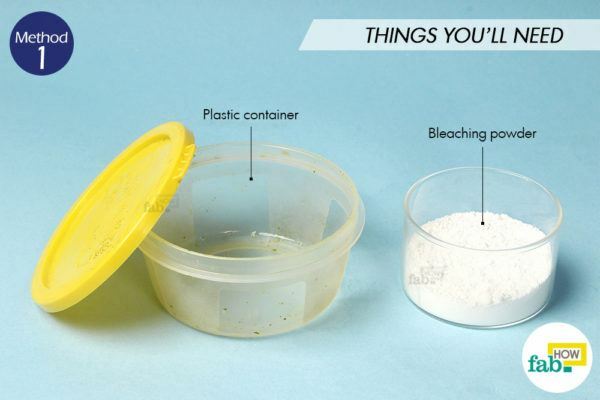 So if something gets overlooked in your fridge or pantry, bleaching powder is that 1 ingredient to clean your smelly plastic container. 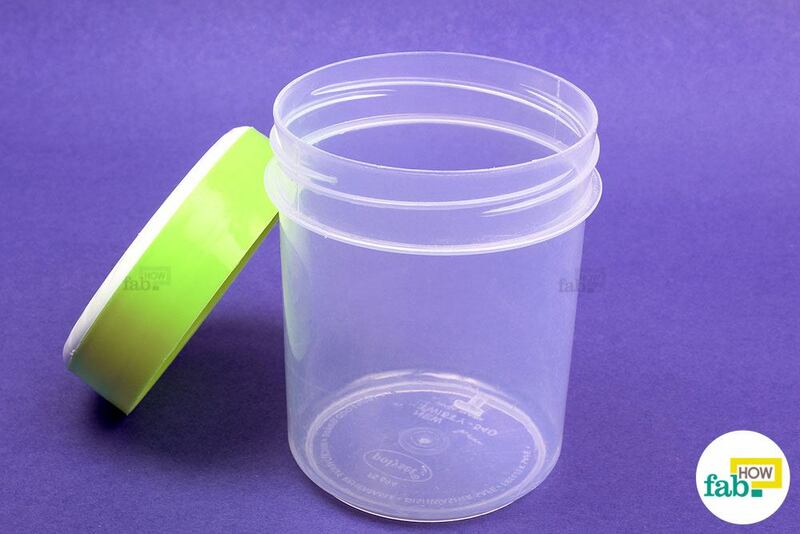 Pour the bleaching powder paste into the plastic container that you need to clean. Close the lid and give it a little shake. This will help coat the entire inner surface with the bleaching paste. Allow it to remain in the container for about 30 minutes. After 30 minutes, use an old toothbrush to scrub the container lightly. You may also use a sponge or a scouring pad. 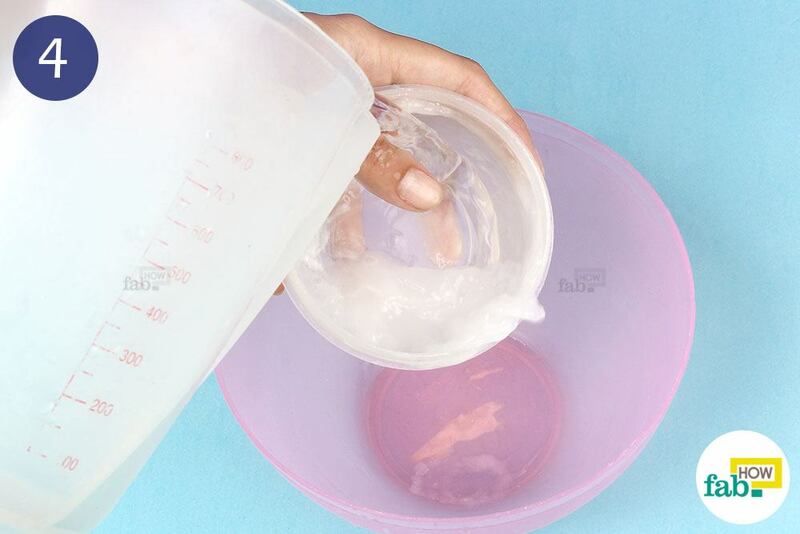 Thoroughly rinse the container with plain water to completely remove the bleach. 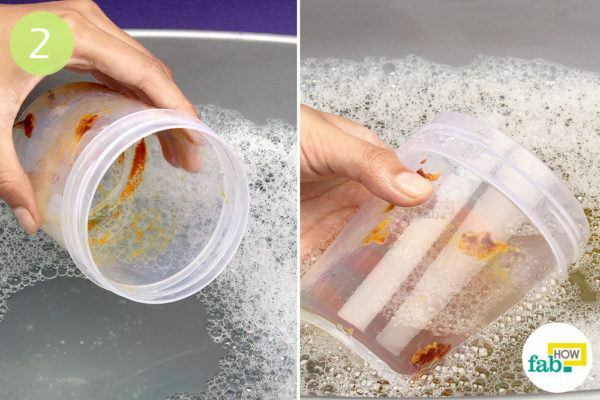 Dry the container with a clean dish towel. Put some water in a tub. 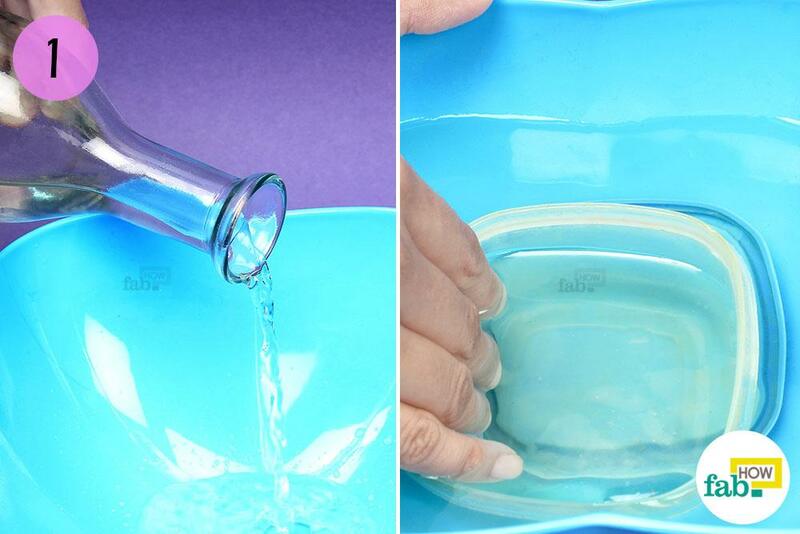 Use enough water to easily soak the dirty container. Add some detergent powder and agitate the water to make it frothy. 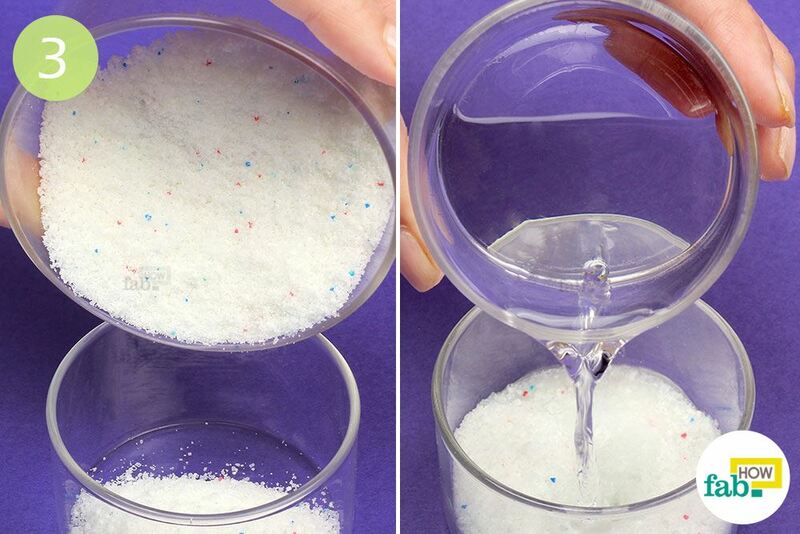 Dunk the dirty container completely in the sudsy water. 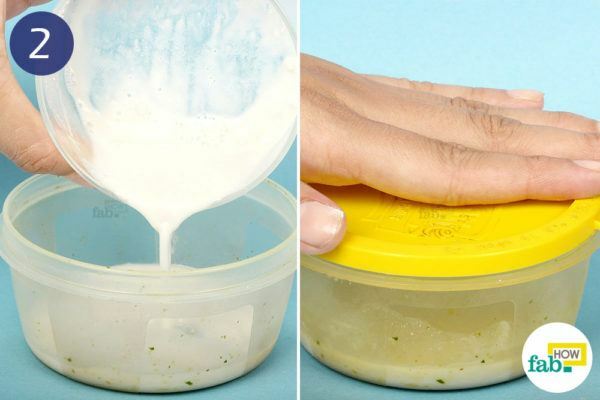 Allow the container to soak for 30 minutes. The soak will soften the tough food particles stuck on the container, making the cleanup job easier. Mix some detergent powder and a little water to make a paste. 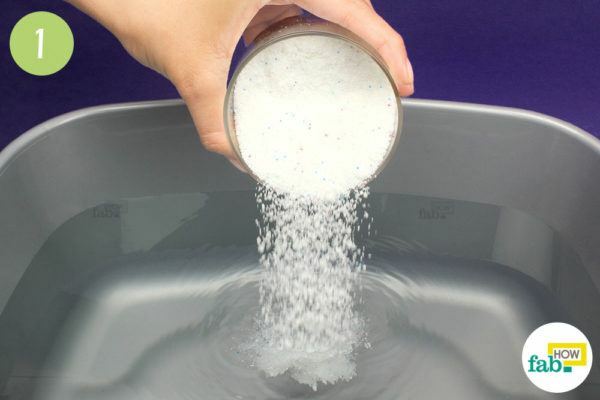 After the 30-minute soak, scrub the detergent paste on the container using an old toothbrush or a scouring pad. 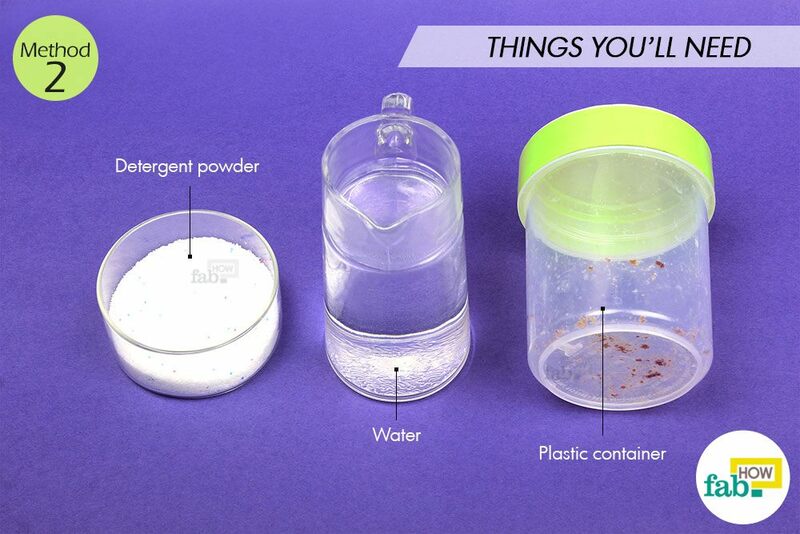 After you’ve cleaned the container, rinse it well with water to remove the detergent. 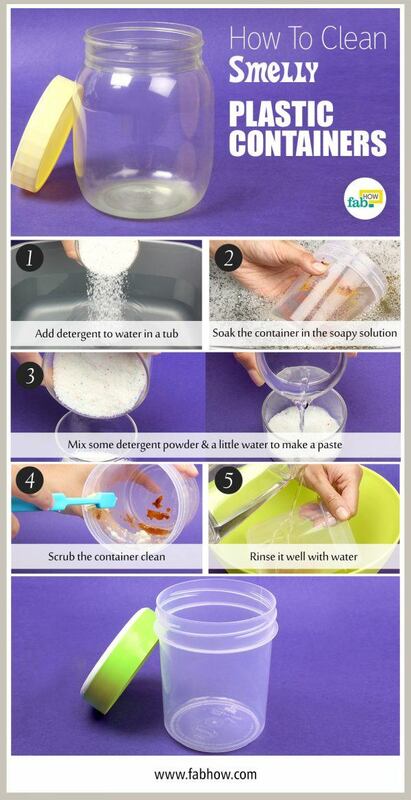 Dry the container with a dish towel. Put some pure acetone on a cotton ball. 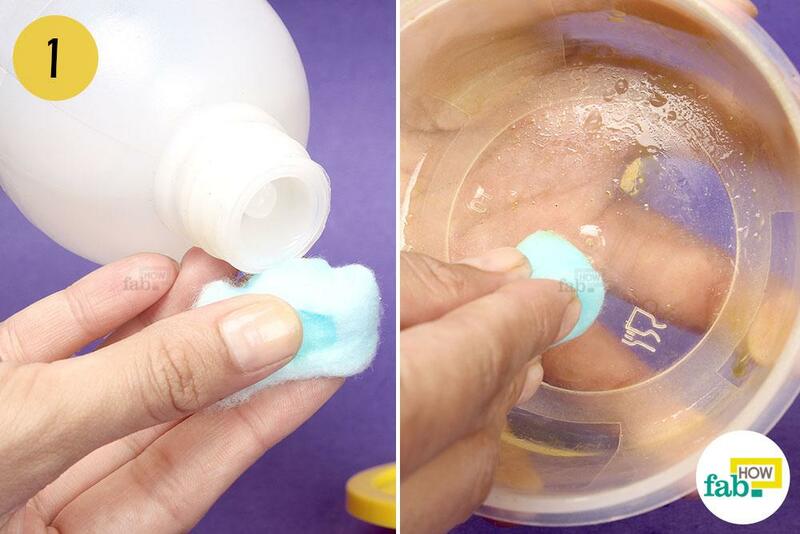 Clean the plastic container with the acetone-soaked cotton ball. 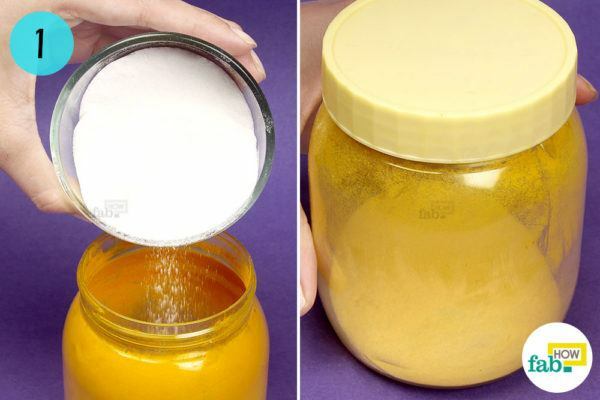 In addition to cleaning away stains from sauces, juices and colorful soda drinks, acetone can easily clean ink and other pigments from the container's surface. 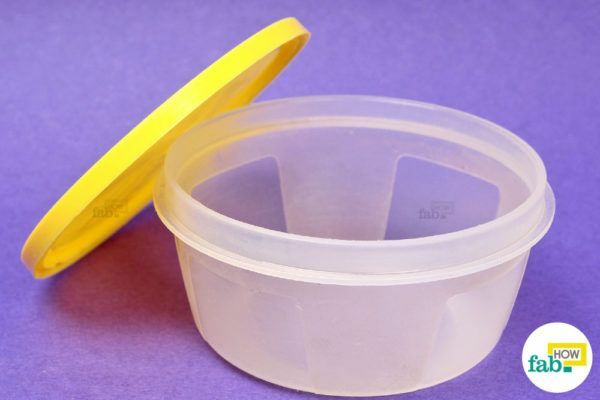 If you need to relabel your plastic containers, a wipe-down with acetone will give you a clean slate. 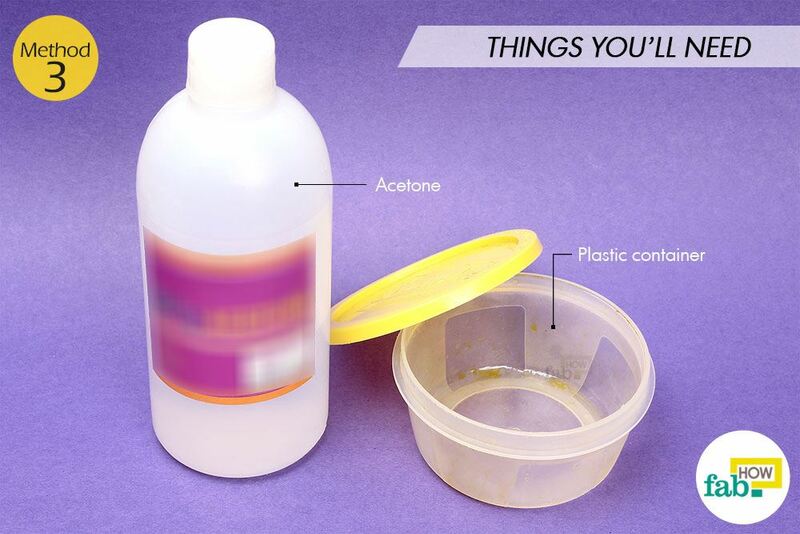 When your container becomes squeaky clean, give it a thorough rinse with plain water to clean out the acetone. Dry the container with a kitchen towel. The presence of citric acid makes lemon a very efficient cleaner. 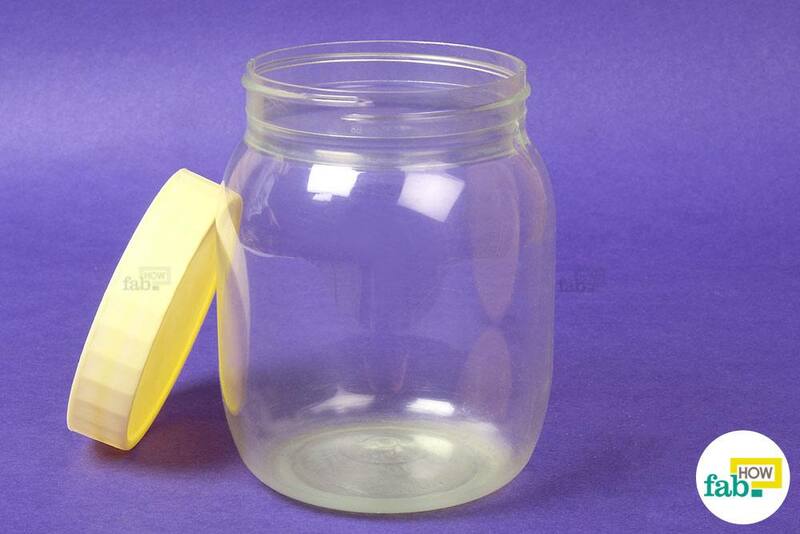 It will eliminate odors, easily cut through grease and stains, and leave your containers fresh and fragrant. 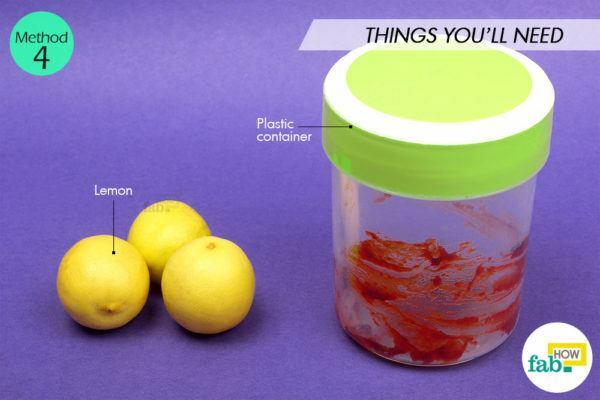 Rub the pulp of the lemon over the entire surface of the container. 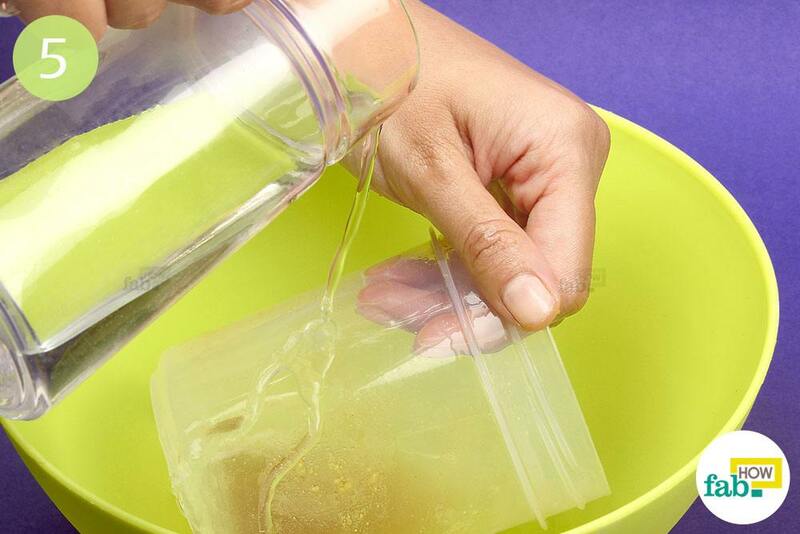 Rinse the container with plain water after cleaning out the stains, and dry it out with a towel. 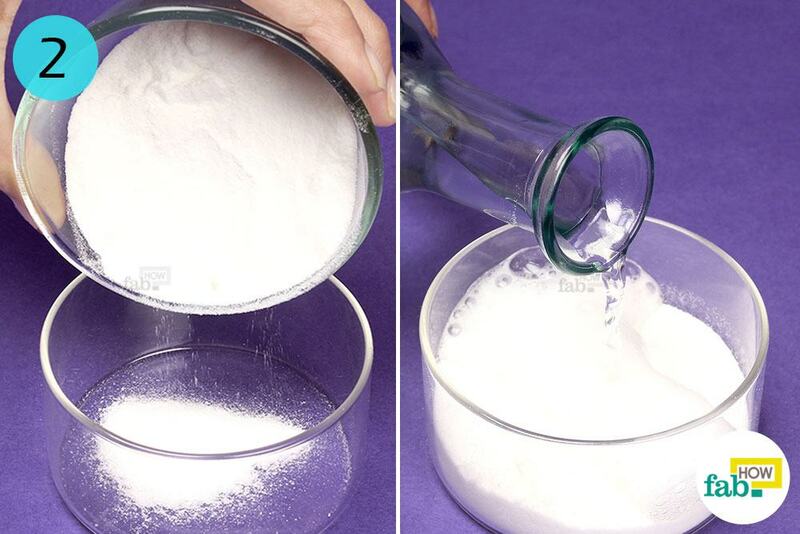 Put some baking soda inside the plastic container, close the lid and leave it overnight. Baking soda is very good at absorbing smells. Spoiled or not, foods often leave behind odors that are hard to ignore. 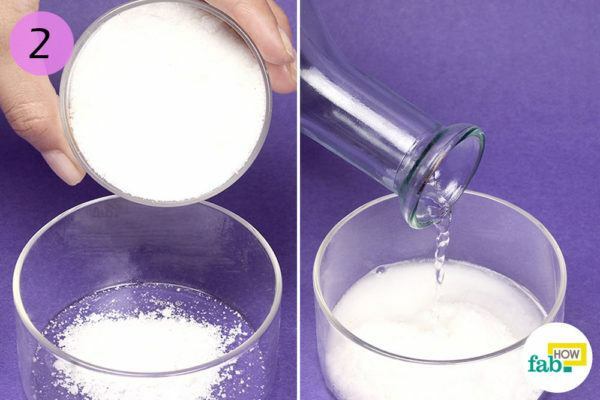 In such instances, baking soda works like magic. 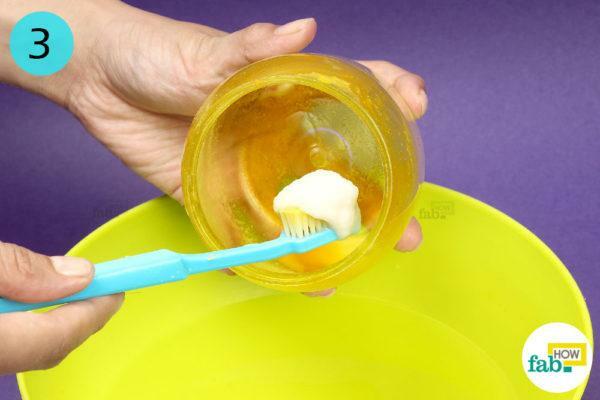 Mix a little baking soda with some white vinegar to make a thick paste. After eliminating the odors from the container, clean it with the baking soda and white vinegar paste. 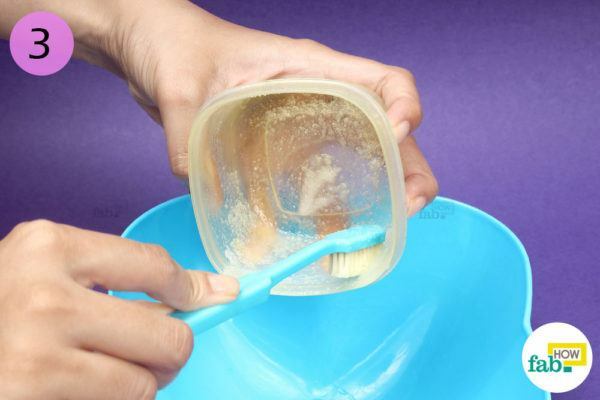 You can use an old toothbrush or a scouring pad to scrub the container. Rinse the container with clean water. It will come out squeaky clean and odorless. Dry the container well before use. Fill a large bowl with pure white vinegar. The bowl should be big enough to soak the container. You may also use a small tub. 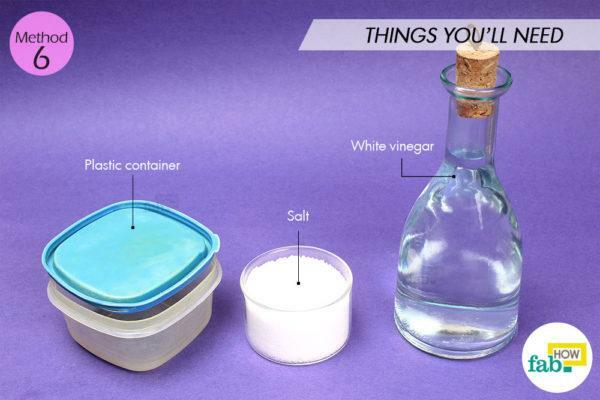 Completely immerse the plastic container into the white vinegar and let it soak overnight. 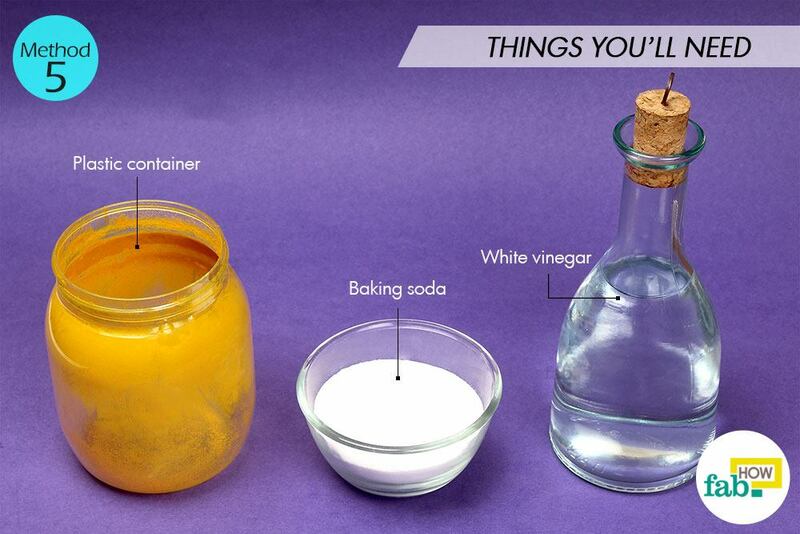 White vinegar is good at eliminating overpowering smells. If you’re not too fond of the vinegary smell, don’t worry as it goes away in a day or two. Mix a little salt and some white vinegar to make a paste. Take the container out of its overnight vinegar soak and give it a good scrub with the salt and white vinegar paste. 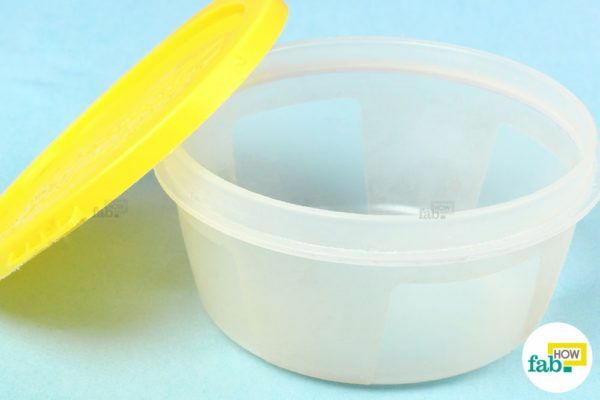 Rinse the container well with water to get the salt and vinegar out. Dry the container before use. 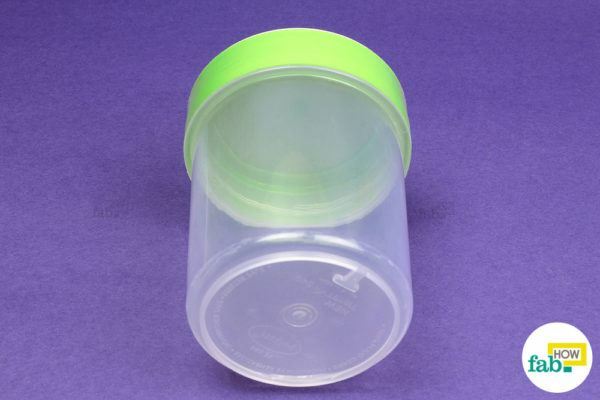 While cleaning, pay special attention to the nooks and crannies of the container. Embossed designs and uneven surfaces near the lid and base should also be carefully cleaned. Food particles are often lodged tightly in these places. The quantity of cleaning agents will depend on the size of the containers you need to clean. Exercise caution while using bleaching powder and acetone. Work in a well-ventilated area. To protect your hands from drying out, you may wear gloves while using bleaching powder and acetone. 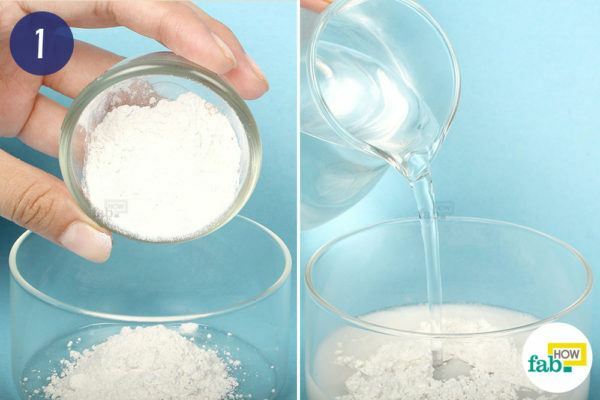 Never combine bleaching powder with dish detergent, as the latter contains ammonia. 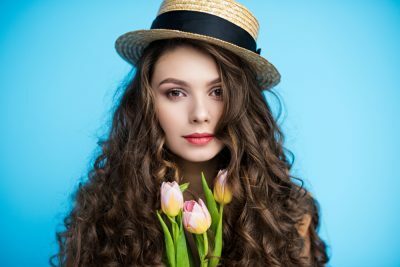 The combination of the two may be potentially harmful. If necessary, you may use the dish detergent after rinsing out the bleaching powder. Dry out the containers completely before use. After drying them with a towel, let them air-dry for sometime as well. This will prevent the food that you’ll be storing in the containers later from coming in contact with any moisture. Fresh cat litter, cedar chips, charcoal, coffee grounds or a wad of crumpled newspaper can be used instead of baking soda to absorb pungent smells from plastic containers. Sometimes putting the containers in sunlight for a few hours can also do the trick. Rubbing alcohol and alcohol-based hand sanitizers work as well as acetone if you need to remove stains and disinfect the plastic containers.